One driver says he favors the village's oldest Land Rover, a 1957 model. 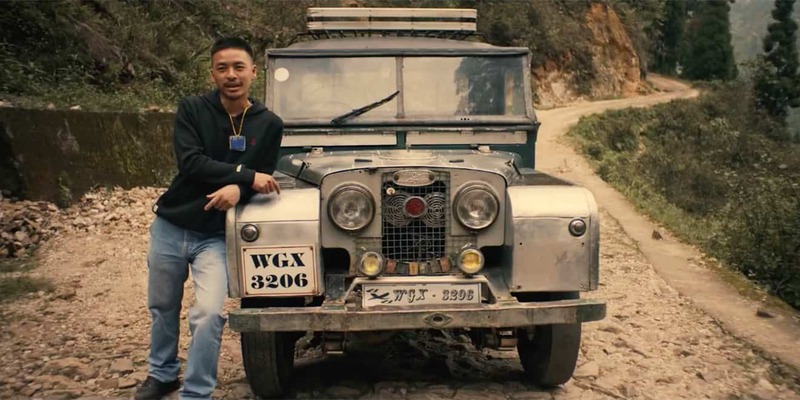 Land Rover turns 70 this year, and for almost that long, a pair of isolated villages near the Nepal-India border have relied on a small fleet of the automaker’s rugged vehicles to get food and supplies over the Himalayas. As part of the brand’s anniversary celebration, agency Spark44 created “The Land of Land Rovers,” a 3 minute, 30 second film that feels like something you’d watch on Nat Geo. It begins with the geographic location, terrain and weather between and Maneybhanjang (meaning “the place where all roads meet”) and Sandakphu. Residents are interviewed and proud to be part of a small village with 42 Land Rovers, the oldest dating back to 1957. Viewers watch as townspeople traverse a ridiculously steep incline over 31 kilometers to deliver goods to Sandakphu, which sits at an elevation of 3,636 meters (12,000 feet). They don’t mince words. “We fear traveling in other vehicles because the road conditions are very challenging,” says one man. That they are. Uphill, rainy, muddy, rocky–worse than any inclement condition your parents ever walked to school in. These Land Rover drivers are risking life to sustain lives. It takes a steel stomach and a heart of gold to make these deliveries. Their reward? The view at the top. “After driving very tough roads, at last you see magnificent views of Himalayas. It’s very spiritual and calming,” says a driver. Isn’t that what we’re all climbing toward? In addition to the longform video, a trio of minute-long videos highlight three residents: a man who drove double shifts so he could send his children to excellent schools; a driver and his bond to a 1957 Land Rover; and a woman working to become the first female Land Rover instructor.